You've always been a bookworm! To you, there is nothing like getting lost in a good book. Hours can go by, and you love getting lost in a story that will fuel your imagination. Not only does reading make you smarter, but it can actually increase your brain power, much like needlepointing -- known for keeping your mind sharp. 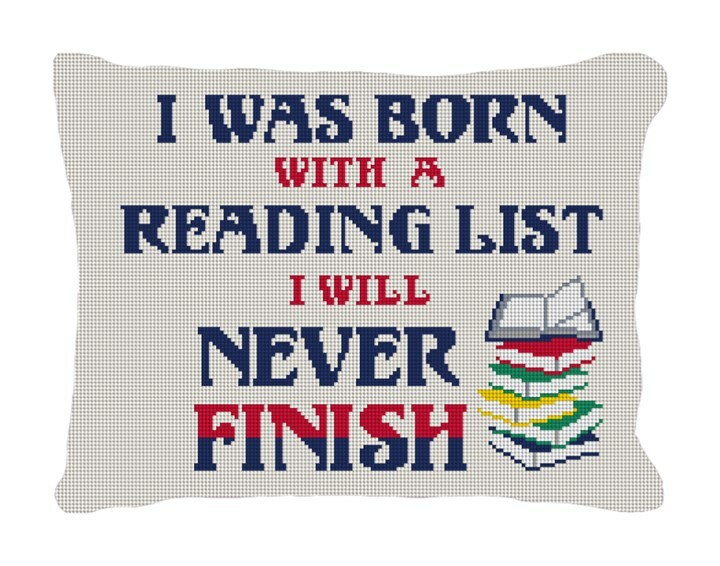 A fun needlepoint pillow to keep you company, when your reading the next great book.